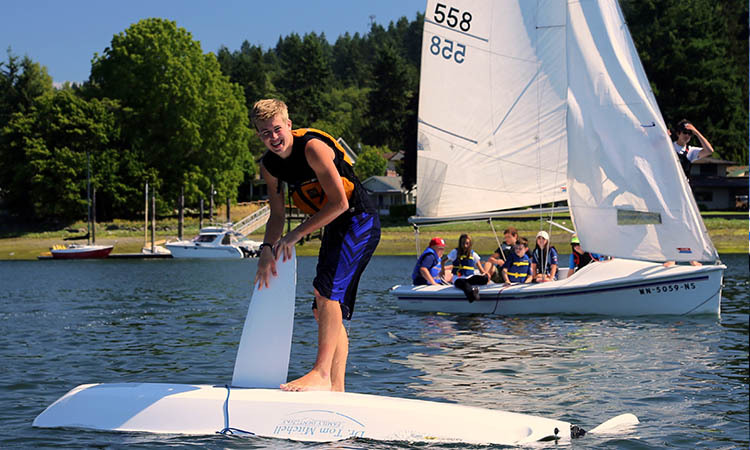 Sail camp is a fun place to learn new skills. 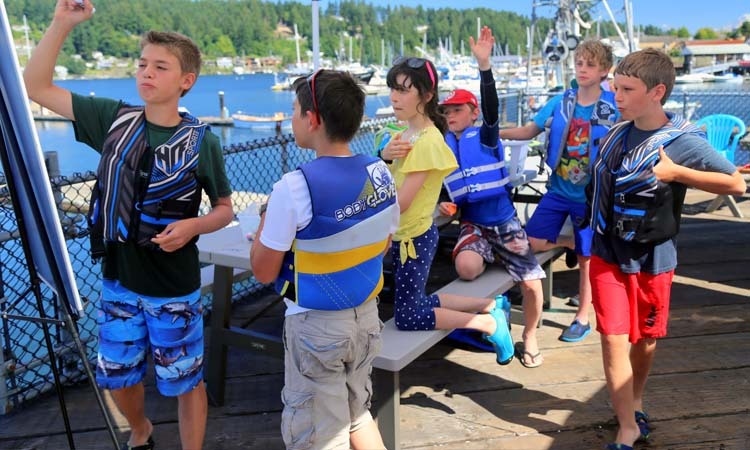 Summer sail camp is the perfect way to practice safety and respect in and around boats and the aquatic environment, all the time having great FUN. This lifelong sport develops motor skills while building self-confidence and encouraging teamwork. We teach the basics to beginning sailors and build on prior experience as they advance through the program. Open to all children ages 6 to 18. Each session is taught by US Sailing certified instructors with First Aid and CPR training. If you have questions as to what camp your child should be in, please email their birth date, weight, and any other comments to info@ghycjrsail.org and we will give you our recommendations. Learning basic water safety skills. Using games to learn and have a lot of FUN!. How wind and sails work together to make a boat move through the water. We do not advise signing up for both morning and afternoon sessions. Age 8-11 years old and up to 115 lbs. Learning while having lots of FUN! Campers must be comfortable with swimming in salt water while wearing a life jacket. And of course, having a lot of FUN together! Intermediate Opti - Age 8-12 and under 105 lbs. This camp is designed for campers who have successfully completed Youth or Teen camp, and who have been recommended by their instructors to advance to an Intermediate level. From this level, individuals may be invited to join a Race Team. 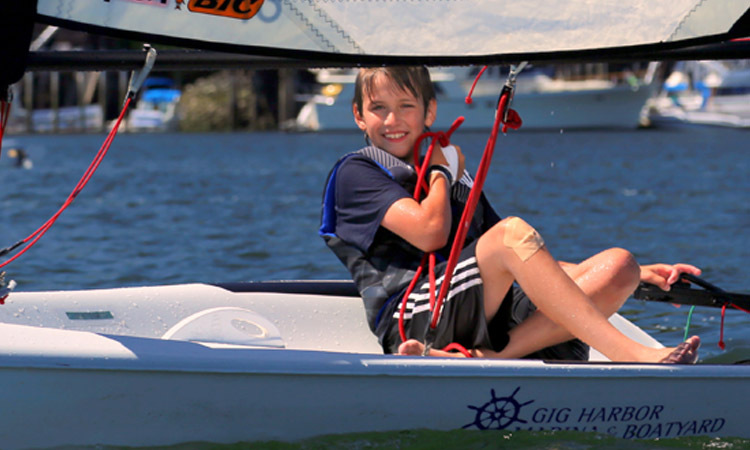 If you are not sure if your child qualified for Intermediate Camp, please email us @ info@ghycjuniorsail.org. 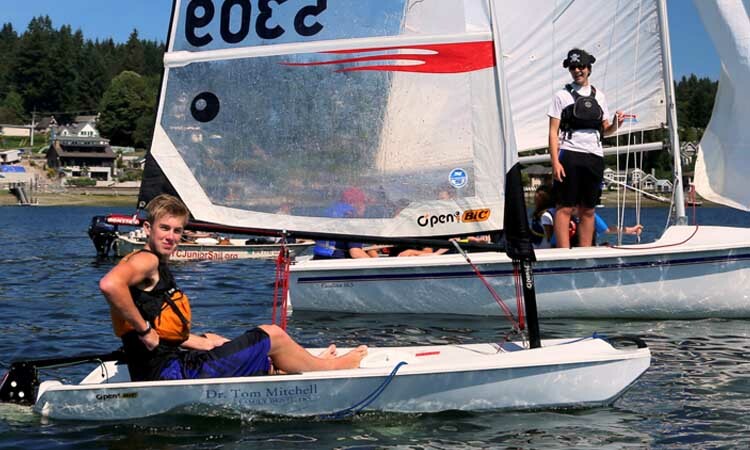 It is time to sign up for one of the best Junior Sailing programs. Your child will meet new friends, learn new skills and love being outdoors on the water. Watch them enjoy the thrill of seeing where the wind can take them. 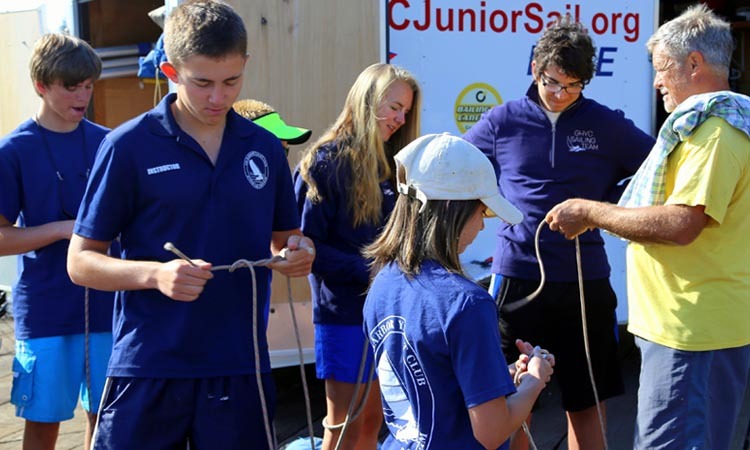 GHYC Junior Sail offers a limited number of needs based scholarships every year for students with a strong desire to learn to sail, but do not have the means to enroll. "Thanks very much! Our daughter, Olivia, enjoyed Sail Camp so much that she asked to do a third week in July and a fourth week in August. Thanks for making her first experience on little sailboats a great one!"